The ‘time’ Wang Jin refers to is an era in Chinese history that is full of change and ongoing development. That willingness to sacrifice oneself for one’s ideals – which was so widespread amongst the generation of Wang Jin’s father (who was an officer in the Army of Liberation) – seems to have disappeared altogether; its place having been taken by the unscrupulous pragmatism of a materialist world. 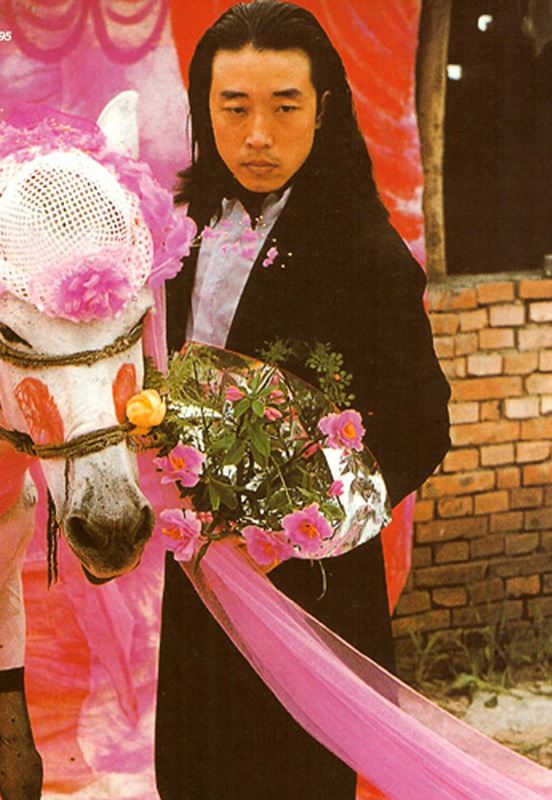 Yet even if Wang Jin says with a certain cynism « if my father is against my work, then that means I am on the right track », he has in fact inherited a large amount of the older man’s idealism – for it can only be that which leads him to dedicate his life to the difficult and costly career of ‘alternative artists’ in today’s China. In the fifteen years after the end of the Cultural Revolution the values of the Chinese people underwent a radical change; there was a shift from one extreme to the other, without any chance – or ability – for critical reflection. Yet that ability is one that Wang Jin proves to have in abundance. 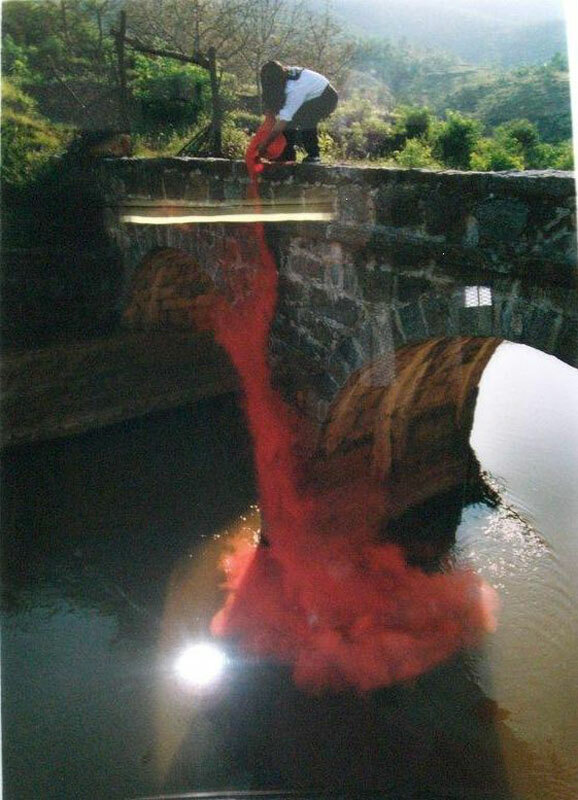 All his works have an important social content; past and present are bound together, part of an unbroken line similar to that which formed the core of the 1994 performance piece Battling against the Flood – the Red Flag Canal . 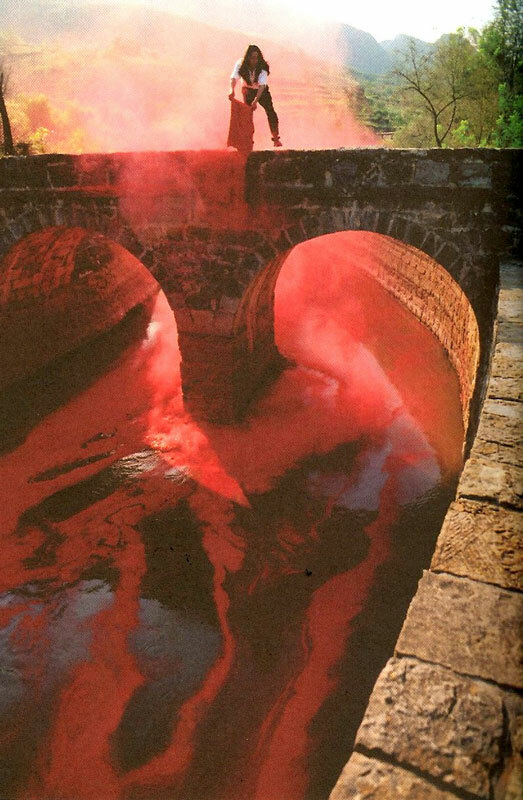 For that work, the artist emptied a 25-kilo sack of red pigment into a canal that was dug during the Cultural Revoluion (and at the time hailed as a sign of the people’s enthusiastic support for renewal). 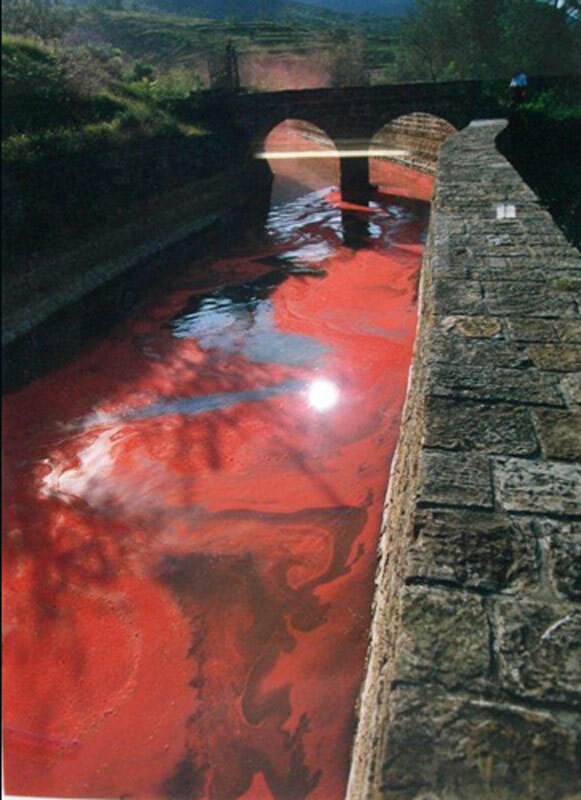 Scattered in the air and then dissolving in the water, the pigment created a powerful visual effect: the canal became a stream of blood flowing on for kilometers, reflecting the artist’s intention that the work should have the same medicinal effect as a ‘bleeding ». In fact, in Chinese to say something is ‘red’ (hong) means that it is ‘very popular, successful, sought-after’. However, paradoxically, what is politically ‘red’ is now far from hong , whilst consumer goods – particularly the most superficial of them – are definitely sought-after.